This could soon be the world’s fastest car and it’s stopping off in London! It’s called Bloodhound and it’s taken 8 years of hard work and very clever engineering to put together. 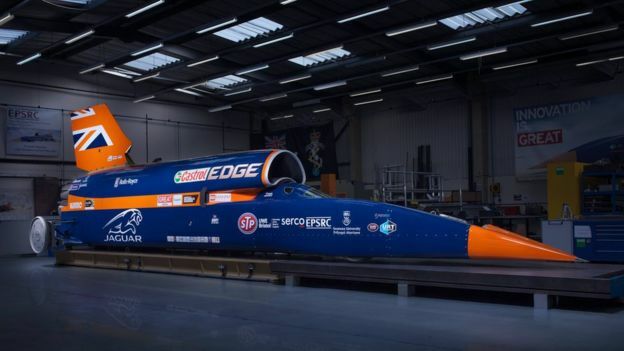 Bloodhound has been designed to be the fastest car ever! The current land speed record is 763 miles per hour and if it all goes to plan, Bloodhound is going to travel at an amazing 1,000 miles per hour! There are still a few important parts to install like the rockets and the brakes but it’s going to be ready to start racing next year on a specially designed track in South Africa!